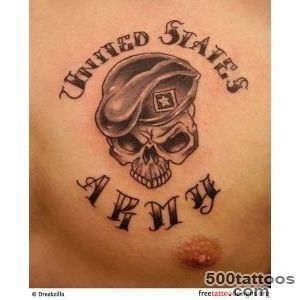 For men the army - a school of life . 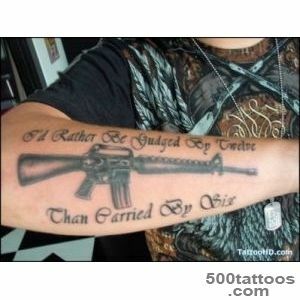 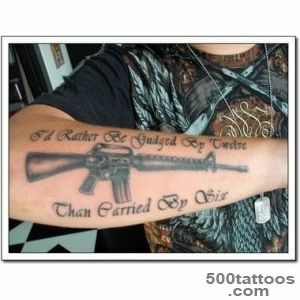 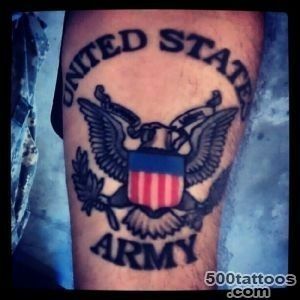 It is because of this tattoo is done with the army , they have become an integral part of man's life. 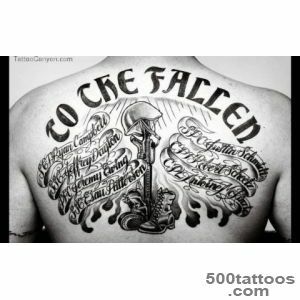 It is the memory of locations , symbols of honor and courage , as well as the main difference is the guy from those who hang from the army. 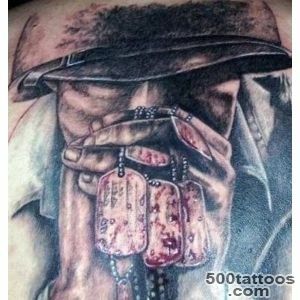 Most tattoos are a particular character,namely point to a military unit or simply served on the courage of the soldiers , their friendship. 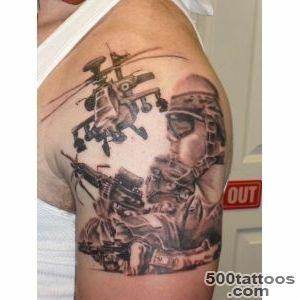 It is so widespread that it has become popular worldwide . 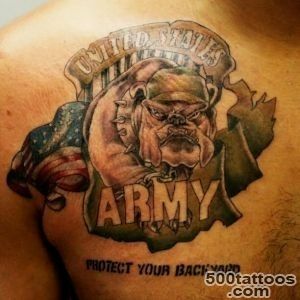 They are a host of species. 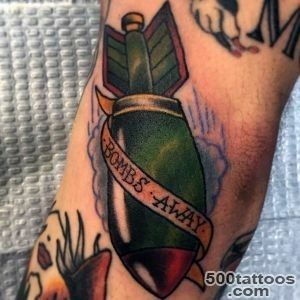 Often you can find the image of a rocket or cartridge . 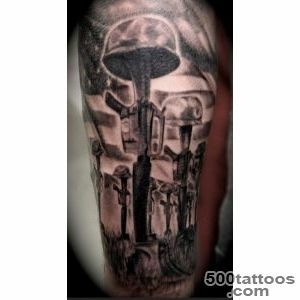 And if the rocket is used in a certain form of troops , the patron -universal tattoo that suits any kind of troops . 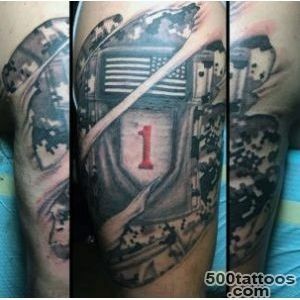 Often within the cartridge record date of demobilization . 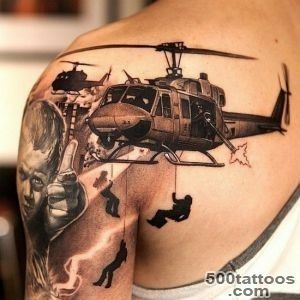 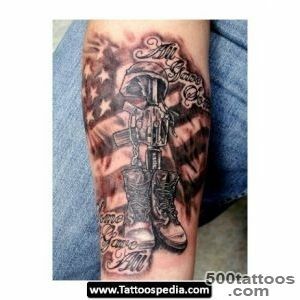 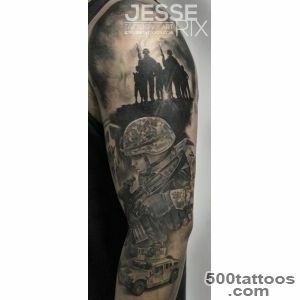 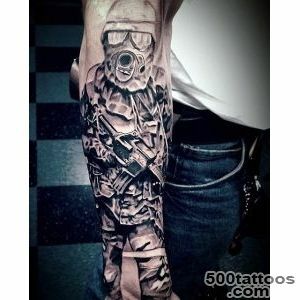 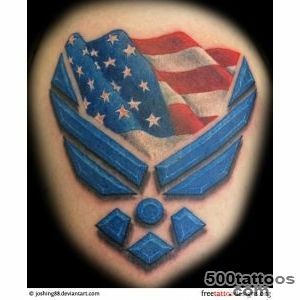 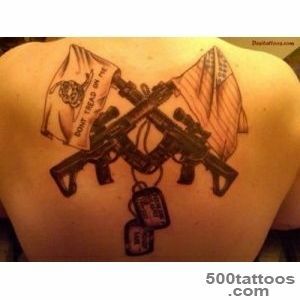 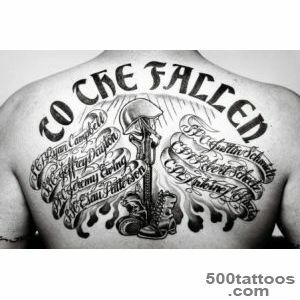 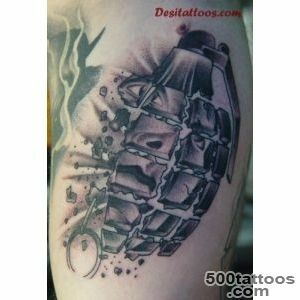 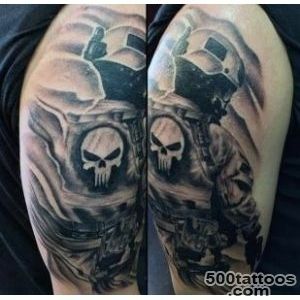 Military tattoos are rarely colorful since that is usually applied not by professionals , but by the guys. 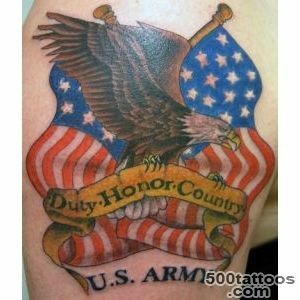 Often used conventional phrase about loyalty to country , loyalty to friends and his troops . 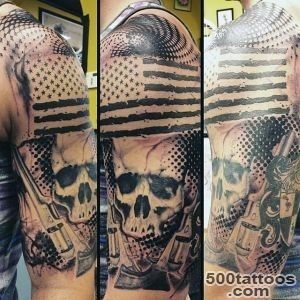 MarinesFor Marine peculiar tattoo skull bandana , which is usually applied to the shoulder. 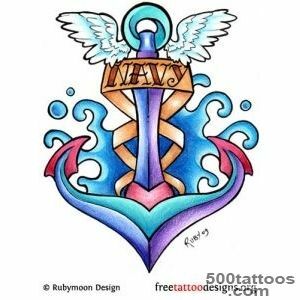 Not less popular anchor on a background of the globe . 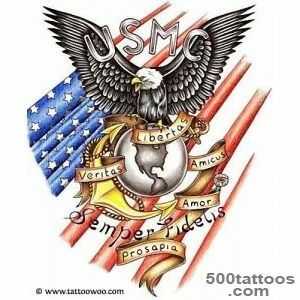 Normally before that it portrayed a dolphin jumping out and the tape with the signature of " marines " . 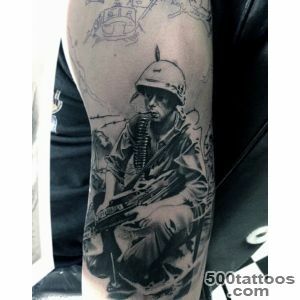 For the guys who served in the North Caucasus, characterized by a tattoo with the image of a scorpion . 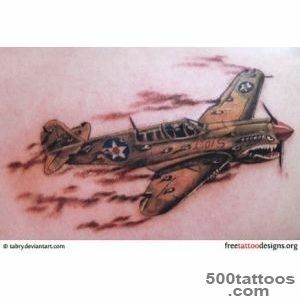 Moreover ,if the sting is directed upwards , this indicates that the man took part in actual combat . 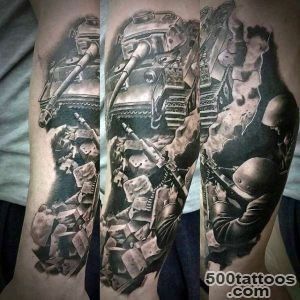 To have served in the Northern Fleet , the symbol of a polar bear . 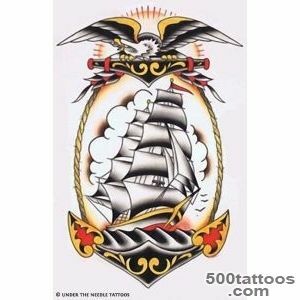 For other regions - and anchored sailboat . 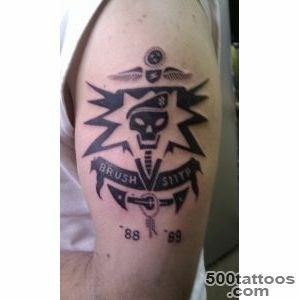 The symbol of the intelligence was a tattoo bat . 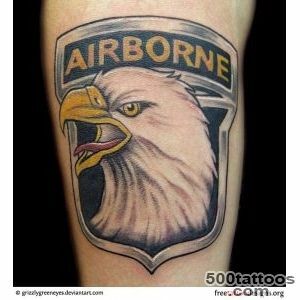 The symbol of airborne forces -parachute to the service location. 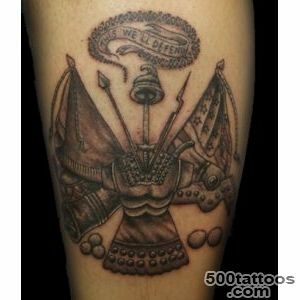 You can also find a winged sword with a shield on which is depicted , it takes . 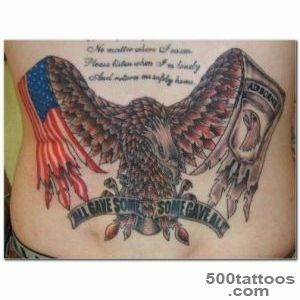 There is also a set of common tattoos. 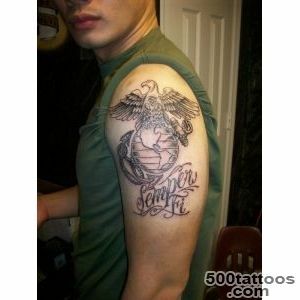 For example, " for you " , which symbolize the entire military service . 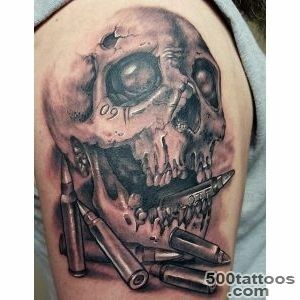 They portrayed the eternal flame or spooks , who holds a knife in his teeth . 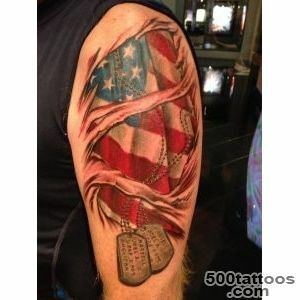 In general, the military tattoos are so diverse ,what to say about them can be long and hard . 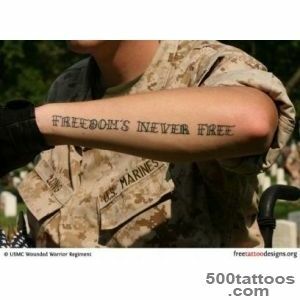 There are so many and each year more and more is added . 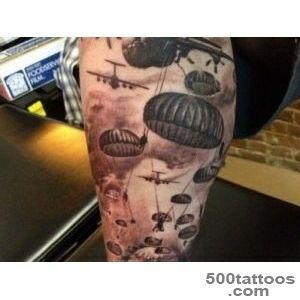 The most popular tattoo Airborne. 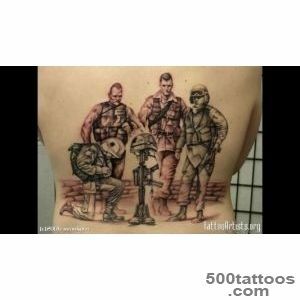 Almost all the soldiers put a tattoo in memory of service. 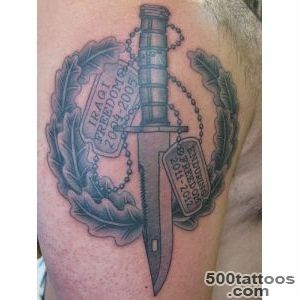 Some men have a tradition to put a tattoo indicating the blood group. 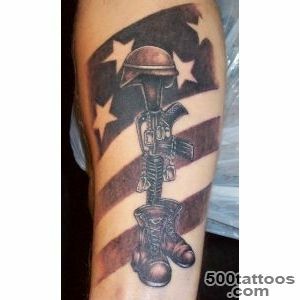 And in many armies in the world, it is even part of the duty.Often there were cases that such a tattoo saved the life of a soldier in battle. 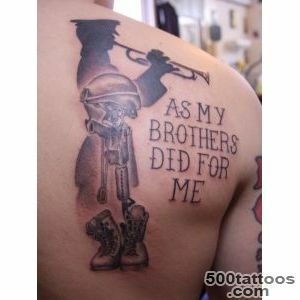 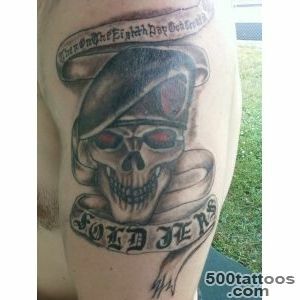 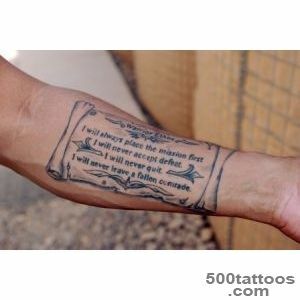 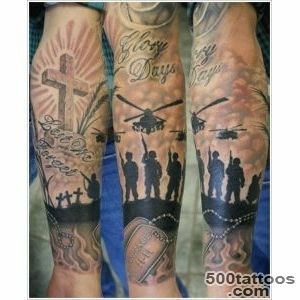 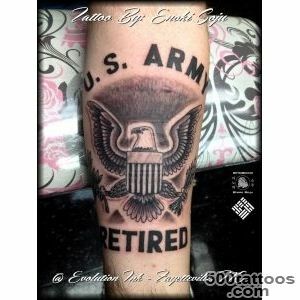 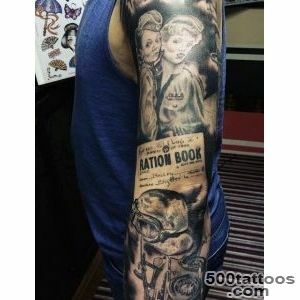 Never army tattoo expire and will not be perceived negatively by other people , because the army - it's for all the saints. 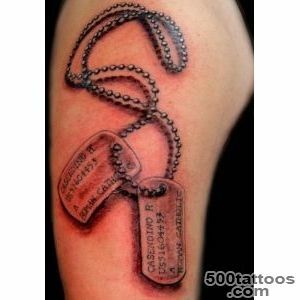 A tattoo is like the memory of those who the guy was there and those who did not come back from there , and not just for beauty .